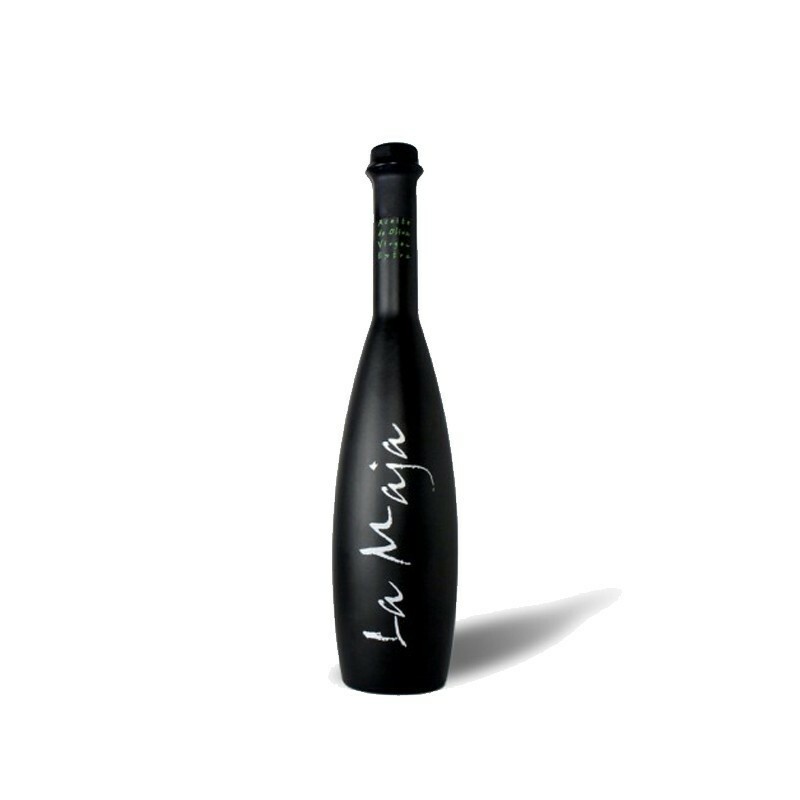 La Maja is an exquisite blend of Extra Virgin Olive Oils, produced once a year in limited quantities. La Maja is the result of a meticulous selection of a variety of olives, all of which have been cultivated and handled with the upmost care to guarantee their quality throughout the 'cold' press extraction process, so as to maintain all of the virtues of the olives, such as its aromatic qualities and flavour. As a result of all this dedication, we are able to obtain the most perfect and exclusive extra virgin olive oil on the market: 'La Maja'. A beautiful yellow-green with a clean and intense aroma which surprises you with its sharpness, reminding us of fresh green fruits. One can appreciate hints of tomato, herbs, artichoke, apple and, to a lesser extent, a faint aroma of kiwi. On the palate these aromas are reaffirmed and one can appreciate a medium bitterness and slightly spicy after-taste. .